Is Russia deepening Cooperation with US in Syria, or hitting US Bases? About a week ago, Russian warplanes bombed a Syrian base used by the US and the UK. The Wall Street Journal suggested that Russia was attempting to herd Washington into a closer military cooperation. At the same time, the Arabic press commented on on a Washington Post story that the US and Russia are jointly striking al-Qaeda in Syria now. The US had avoided doing much bombing of al-Qaeda (the Nusra Front), according to the Alaraby site, since they were hoping that Nusra would cut off al-Qaeda and renounce their relationship, and because US-backed groups were allied with Nusra on the battlefield. Now that Nusra is in the sights of Russian and US warplanes, there are likely to be defections from its coalition, the Army of Conquest. 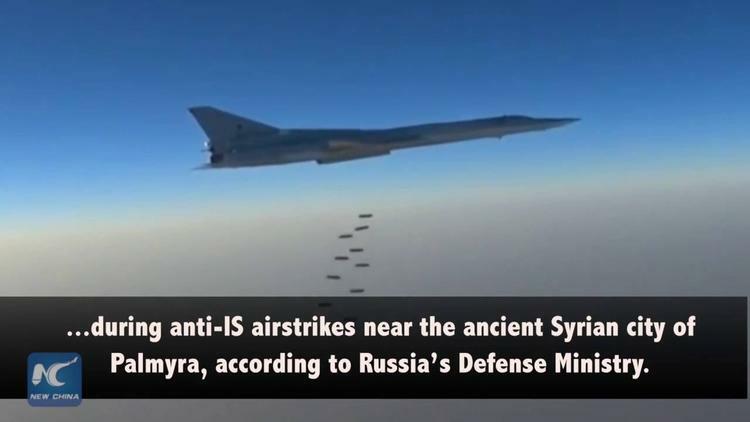 “Six Russian Tu-22M3 long-range bombers have attacked Islamic State (also known as IS/ISIL) targets in Syria, striking two command posts on 21 July, the Russian Defence Ministry has said, privately-owned Interfax news agency reported that day. The attacks were carried out at 0200 gmt against Islamic State targets east of Palmyra as well as “in the vicinity of the towns of Sukhna, Arak, Al-Teyb” in Homs province, the ministry said.. . Under these circumstances, I don’t find plausible the idea that the Russians hit the US/UK base as a way of drawing those two Powers into the coalition against al-Qaeda in Syria. Rather, I just think bombing from a height is always somewhat inaccurate. But the premise of the whole story, that the US and Russia are strengthening their cooperation in Syria, seems now very possible.